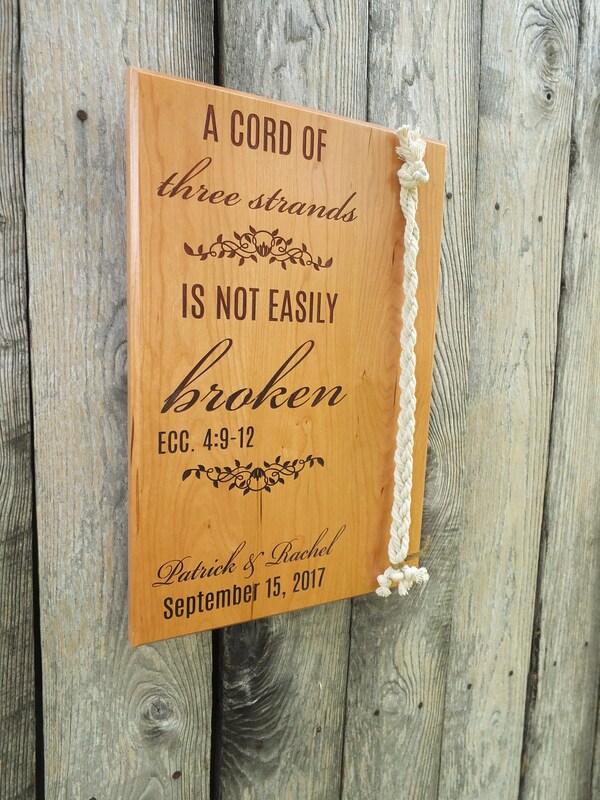 This sign is a wonderful keepsake and can be used during a wedding ceremony representing through marriage the joining of God, husband, and wife. 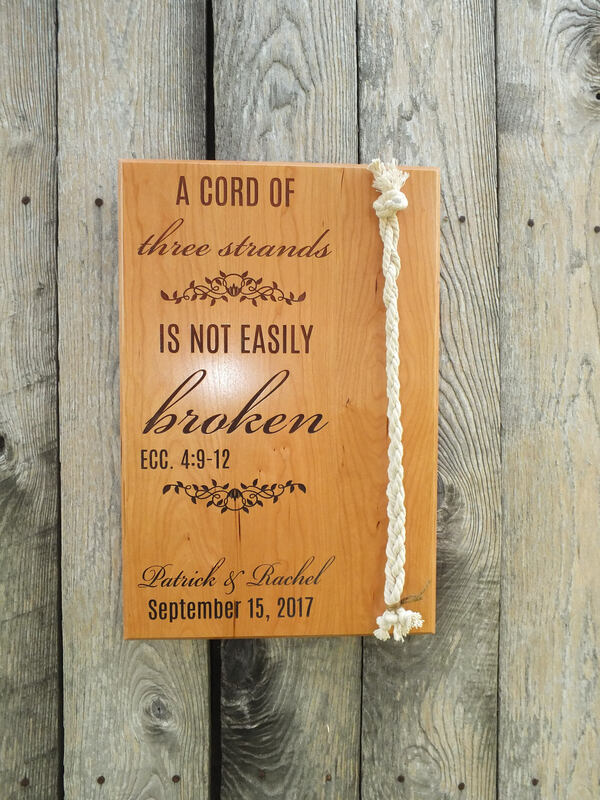 The wording can also be customized for a vow renewal ceremony or an anniversary. Our sign is laser engraved on your choice of North American hardwoods. 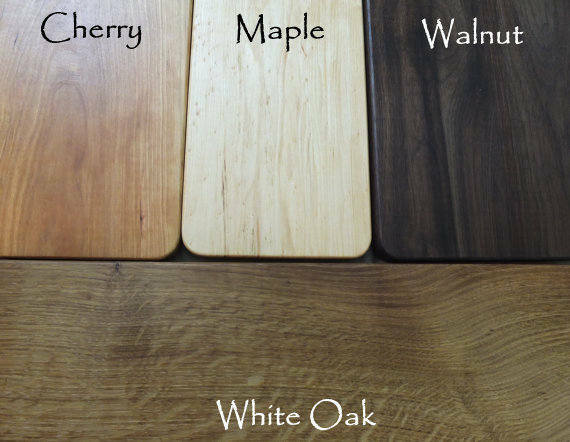 Choose from cherry, maple, white oak or walnut. 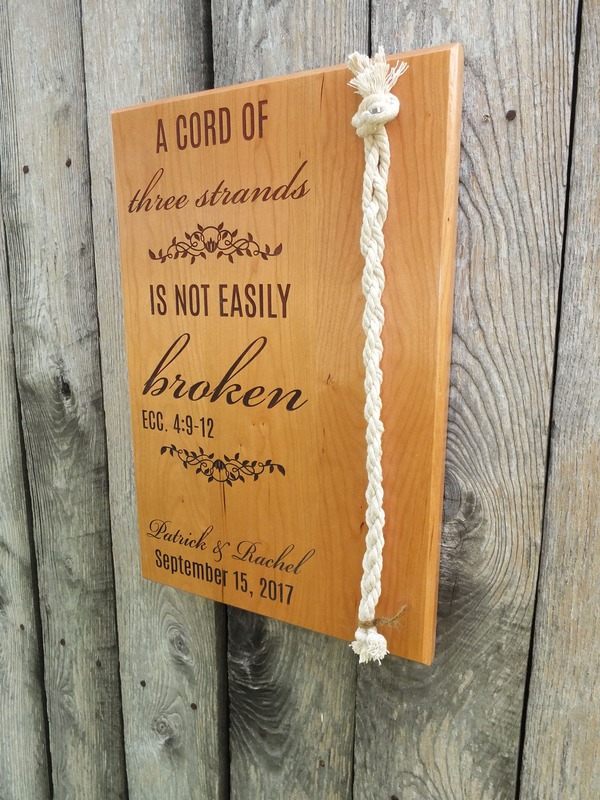 Personalize with your name and wedding date. 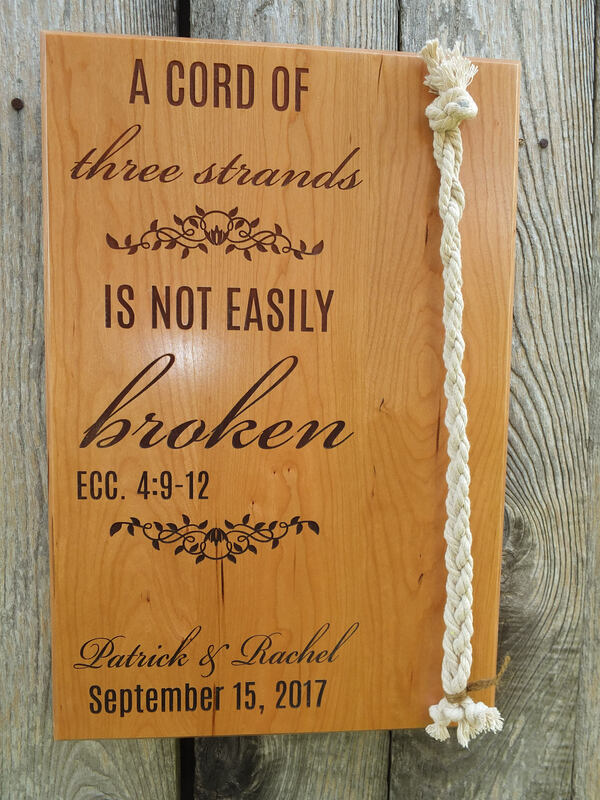 These unity signs are laser engraved on hardwood sanded to a smooth finish. Conversion varnish protects the wood.